Howlett, Karen. "Canada's Opioid Crisis". The Canadian Encyclopedia, 07 September 2018, Historica Canada. https://www.thecanadianencyclopedia.ca/en/article/canadas-opioid-crisis. Accessed 25 April 2019. The painkiller drug OxyContin was a main factor in the development of the opioid overdose crisis. At least 2,458 people died of opioid-related deaths in Canada in 2016 — an average of almost seven a day — according to the first attempt to measure the toll the drugs have taken from coast to coast. But that national snapshot is far from complete: the numbers released in June 2017 by a federal-provincial-territorial special advisory committee did not include Quebec, and the data collected from Ontario	and Newfoundland and Labrador were from 2015, making them more than a year out of date. In 2017, there were at least 3,987 opioid-related deaths in Canada. Ninety-two per cent of those deaths were accidental. Seventy-two per cent of deaths involved fentanyl or a fentanyl analogue, compared to 55 per cent in 2016. No province has been hit as hard as British Columbia. Fentanyl, a powerful synthetic opioid that is being cut into a growing number of street drugs, was detected in 81 per cent of the 601 overdose deaths in that province in the first six months of 2018, down slightly from 84 per cent in all of 2017. British Columbia declared a state of emergency in April 2016. On any given day, firefighters — usually first on the scene of a medical call — respond to multiple overdoses. According to the British Columbia Coroners Service, 1,450 people died of an illicit drug overdose in 2017, an increase of 46 per cent from 2016. In Alberta, the community of Stand Off on the Blood Tribe reserve has endured a disproportionate number of deaths. Esther Tailfeathers, a family physician from the Blood Tribe, responded to her first fentanyl overdose in July 2014. At first, she treated one or two overdose cases a week in her hometown of 12,800, but that quickly escalated to two or three a shift. The local band council declared a state of emergency in March 2015, making Blood Tribe the first community in the country to sound the alarm because of fentanyl. Shortly after, the epicentre of Alberta’s crisis shifted to Calgary	as fentanyl use began to skyrocket in the city. Fentanyl-related fatalities in Alberta in the first quarter of 2017 were 61.4 per cent higher than in the same period in 2016. The scourge of fentanyl rapidly expanded east, becoming the leading cause of opioid deaths in Ontario for the first time in 2014. Between 2000 and 2015, nearly 6,300 people died from overdoses related to opioids in Ontario. In 2016, opioids claimed 867 lives. Figures for all of 2017 are not yet available, but opioids claimed 537 lives in the first six months, up 30 per cent over the first half of 2016. 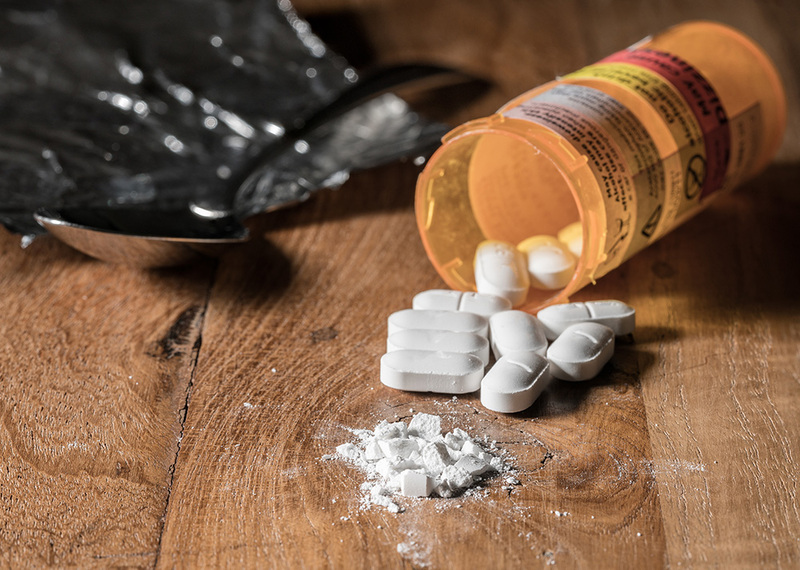 In Canada, statistics on opioid deaths officially include those from accidental and intentional overdoses, by both users of illicit street opioids and prescription opioids. Canada is dealing with the fallout from a decision in 1996 to make opioids more widely available. Until then, doctors prescribed opioids primarily for terminal cancer patients. But in 1996, Health Canada approved OxyContin, a brand-name version of the opioid oxycodone, to relieve moderate-to-severe pain in all types of patients, heralding a sea change in the treatment of pain. OxyContin tablets, culprits in the development of the opioid overdose crisis. Purdue Pharma, the maker of OxyContin, distinguished the drug from its rivals by promoting its time-release formula — the pill was designed to be swallowed and digested over 12 hours. Sales representatives at the company persuaded doctors to expand their use of opioids by pushing the notion that OxyContin posed a lower risk of abuse and dependence to patients than other, faster-acting painkillers. Doctors started prescribing OxyContin for everything from backaches to fibromyalgia (a syndrome that affects muscles and soft tissue, causing chronic pain, fatigue and sleep problems). The blockbuster drug became the most popular, long-acting painkiller in Canada for more than a decade. But it also became a lightning rod in the early 2000s, as reports of addiction and overdoses exploded. 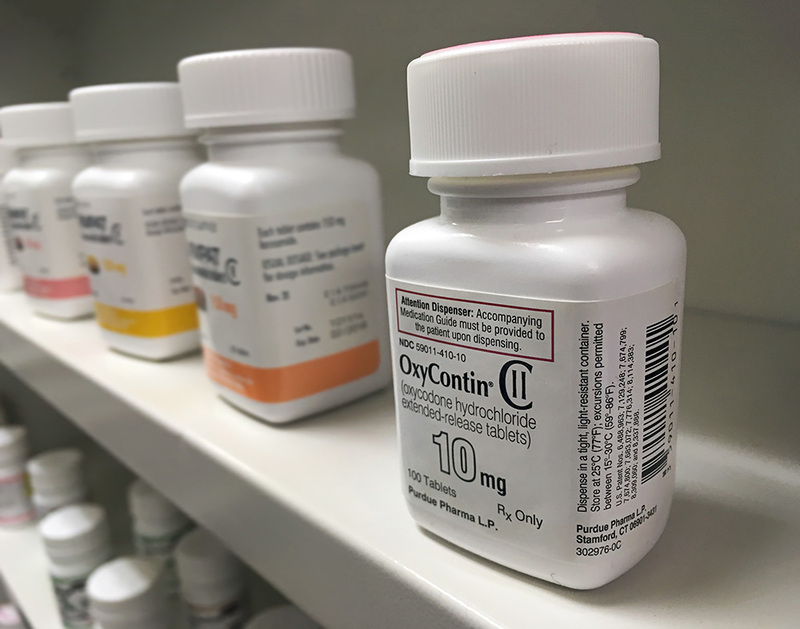 Purdue pulled OxyContin from the market in 2012 — shortly before the patent expired — and replaced it with OxyNEO, a tamper-resistant alternative that is difficult to crush, snort or inject. Around the same time, the provinces all but stopped paying for OxyContin and OxyNEO through their public drug plans. But by focusing their response on just those two drugs, medical experts say, policy makers missed the larger picture. Doctors began prescribing alternative opioid painkillers, including fentanyl, to their patients. As a result, prescriptions continued to climb in Canada. In 2016, doctors wrote one prescription for every two Canadians, making the country the world’s second-biggest per-capita consumer of pharmaceutical opioids after the United States. The widespread use of prescription opioids is behind the rise of a new class of drug users. Many people who were prescribed the highly addictive pills became dependent on them, unable to break their habit and requiring stronger and stronger doses. OxyContin was popular not only with people who became addicted after their doctors prescribed it, but also with heroin users. Both groups could easily snort it like cocaine or inject it like heroin for a quick high. With OxyContin no longer available, many users turned to the black market to feed their addiction. Organized crime exploited the demand for a replacement for OxyContin with a counterfeit version of the drug, fueling a sharp spike in accidental overdoses. Oxycodone is the generic name for a range of opoid pain killing tablets. Police made their first big bust of a Canadian operation dedicated to producing and selling industrial quantities of illegal bootleg fentanyl in April 2013, shortly after OxyContin disappeared from the market. Police in Montreal	arrested two men operating the drug-dealing operation on their way to a UPS courier store to ship a microwave oven containing 10,180 fentanyl tablets to New Jersey. The two men pleaded guilty and were each sentenced to about eight years in prison in 2014. Since then, police have busted traffickers in almost every province. 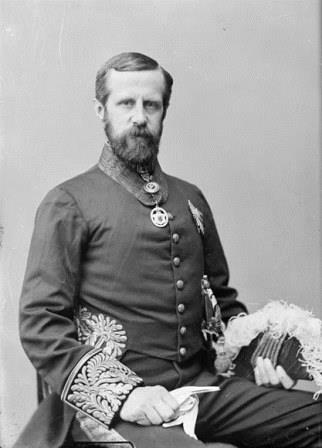 But the Montreal case was uncharted territory — three officers became ill after kicking in the door of the clandestine lab churning out the toxic, bootleg pills, including one who spent the night in hospital. Prescription-grade fentanyl, developed in 1959 by a Belgian chemist and adopted as a pain reliever in hospitals, came into widespread use in the mid-1990s with the introduction of the transdermal patch that is worn like a bandage and releases the drug into the patient’s bloodstream over 72 hours. It is up to 100 times more powerful than morphine. When fentanyl is processed in a clandestine lab with no quality controls, it is difficult to get the dosage right, making it potentially more dangerous and leading to an unprecedented surge in deaths. Fentanyl and many chemically similar opioids are classified as controlled substances in Canada, making them illegal to import without a license. But online suppliers shipping drugs to Canada devise clever ways to skirt inspection rules. Suppliers often ship drugs in packages weighing less than 30 grams, ensuring that border agents could not legally open them. Agents were given the authority in May 2017 to search international packages weighing less than 30 grams arriving through the mail and by courier without the consent of the recipient. Many suppliers offer guaranteed re-shipment to customers in the event their package is intercepted at the Canadian border. Fentanyl has revolutionized the illegal drug trade in Canada. Unlike the massive infrastructure and cartels required to manufacture and transport heroin or cocaine, just about anyone can buy and sell fentanyl. Because it is so powerful, a little goes a long way, making it highly profitable for traffickers. A kilogram of powder — an amount equal in weight to a medium-sized cantaloupe — purchased over the internet for as little as $12,500, sells on the street for $20 million. A kilogram is enough to produce one million tablets, which sell for $20 each in major cities. Canadians have been dying from accidental opioid overdoses for nearly two decades. But the response from government leaders lags well behind the mounting problem, a legacy of the tough-on-crime policies of Prime Minister Stephen Harper’s Conservative government (2006–15). As a result, there is no national surveillance system in Canada tracking fatal overdoses. Outdated information in many regions has hindered the emergency response to a rapidly evolving situation, say medical experts. Addiction treatment programs are few and far between. Instead of devoting resources to treatment programs and harm-reduction measures, such as the provision of the overdose antidote naloxone, the Harper government fought a war on drugs, mainly by prosecuting low-level offenders. Any mention of harm reduction was banished from Health Canada’s website in 2007, when the federal department changed the name of its National Drug Strategy to the National Anti-Drug Strategy. 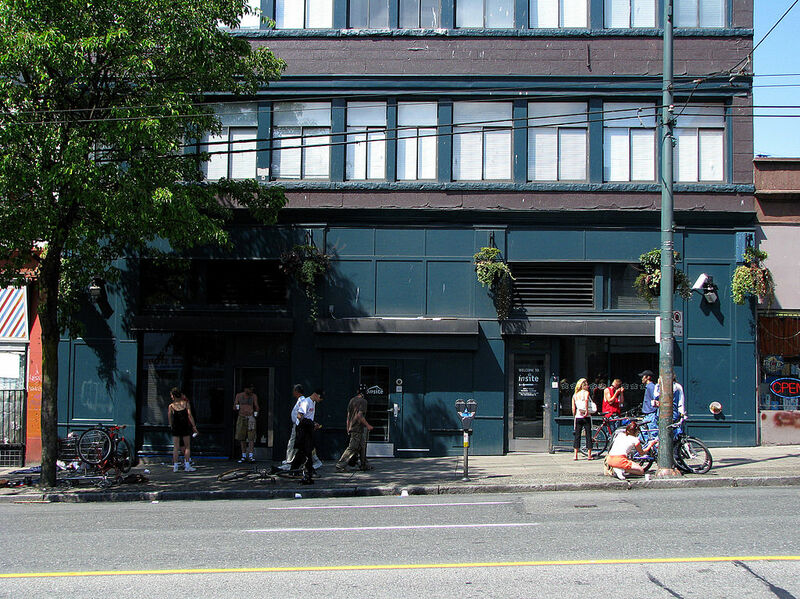 The federal government also attempted to shut down Insite, North America’s only supervised injection site in Vancouver’s impoverished Downtown Eastside, which allowed people addicted to drugs to safely inject illegal drugs under a nurse’s supervision. The Conservative government eventually lost that battle at the Supreme Court, which in 2011 ordered it to allow Insite to remain open. The government responded to the ruling by introducing legislation making it difficult, if not impossible, for other sites to open. 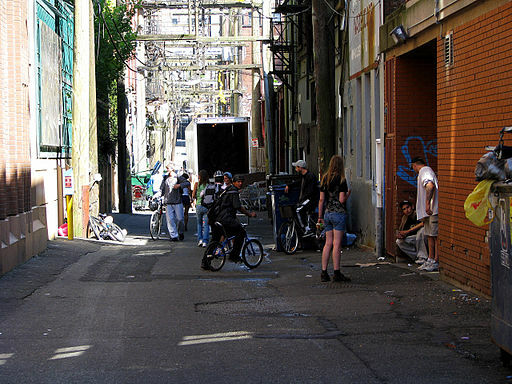 An alley in Vancouver's Downtown Eastside. Graffiti in Vancouver's Downtown Eastside. In December 2016, the government unveiled legislation in the House of Commons aimed at curtailing Canada’s booming underground market	in fentanyl. Bill C-37, which became law in May 2017, bans pill press machines from being imported into Canada, and gives border guards who inspect goods coming into the country broader powers to seize and open suspect packages weighing less than 30 grams. The law also reduces barriers to opening and operating supervised drug-consumption sites like Insite. In its latest effort to counter a surging number of overdose deaths, and following years of work by harm-reduction activists, the federal government gave the green light to a rapid expansion of supervised-injection sites. As of September 2018, there were nine approved sites in British Columbia; 10 in Ontario; four in Quebec, including Canada’s first mobile supervised injection site, in Montreal; and six in Alberta. 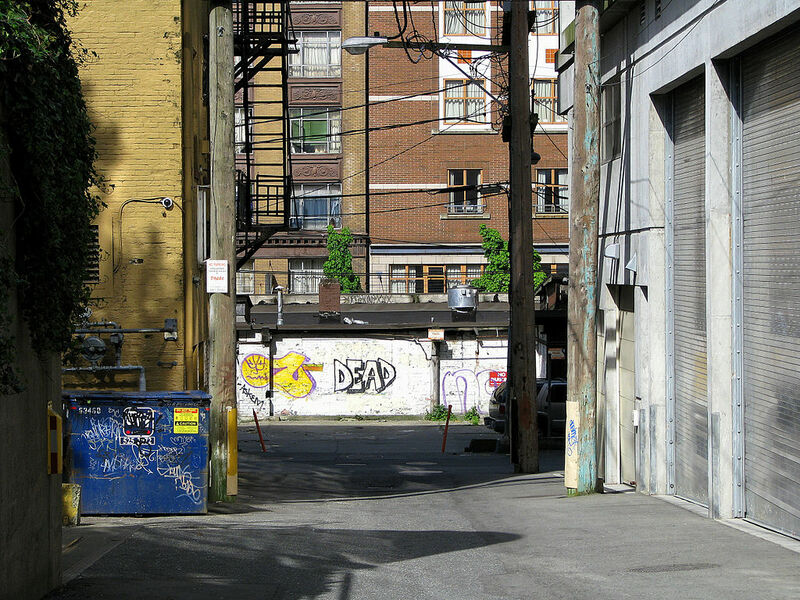 Insite, the safe-injection site for drug addicts in Vancouver, photographed in 2008. In addition to harm-reduction measures such as the supervised-injection sites, medical experts say more needs to be done to address the roots of the opioid crisis: the overprescribing of a drug whose risks are substantial and benefits uncertain. McMaster University	received funding from Health Canada in 2015 to develop new national guidelines for safely prescribing opioids. But shortly after the guidelines were released in May 2017, Jane Philpott, Health Minister at the time, ordered an independent review to ensure that they were not “tainted” by industry influence. Dr. Philpott’s intervention followed revelations that officials at McMaster did not honour a pledge to exclude medical experts who receive income from pharmaceutical companies	from voting on the guidelines. A family doctor who was on the 15-member voting panel had been a paid speaker and advisory board member for drug companies, including Purdue Pharma — a fact that did not come to light until 8 May 2017, the day the guidelines were published. The Canadian Institutes of Health Research, the federal agency asked to conduct the review, concluded in a report issued on 7 September 2017 that the development of the new guidelines was “scientifically rigorous despite the flaw in promptly identifying the [conflict of interest] in a single voting member.” The research institute blamed an “administrative oversight” for the fact that the doctor’s conflict of interest was not identified at the beginning of the process. Had it been identified earlier, the review says, McMaster officials overseeing the guidelines would have excluded the doctor from the voting panel. Many people living with substance abuse were first introduced to opioids by their family doctor. But all too often, the stigma associated with opioid addiction leads them to suffer in silence, aware that society tends to blame the victim and view their problem as a character weakness. Many of them have also waged a long legal battle with Purdue. In April 2017, the maker of OxyContin agreed to pay $20 million to settle a long-standing class-action lawsuit representing as many as 1,500 Canadians who got hooked on the drug after their doctors prescribed it. The lawsuit accuses the company of knowing that anyone who took the drug would be at risk of becoming addicted to it, but at no time were these risks disclosed. The nature and scope of Purdue’s deceit did not become publicly known until 2007, when the company and three of its executives paid $634.5 million (US) to settle criminal and civil charges against them in the United States for misbranding the drug as less addictive than other pain medications. Purdue’s Canadian operation has not admitted any wrongdoing. 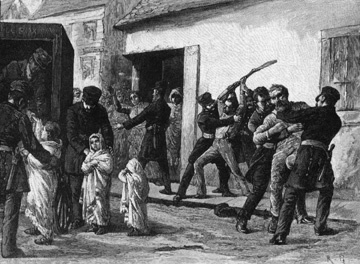 The proposed national settlement in Canada was approved by courts in Ontario, Quebec and Nova Scotia	(see Court System of Canada). It had to be also approved in Saskatchewan in order to pass. The settlement was stalled by a Saskatchewan court that was not satisfied the settlement was “fair, reasonable and in the best interests of the class as a whole.” The lawsuit is not an admission of liability by Purdue. 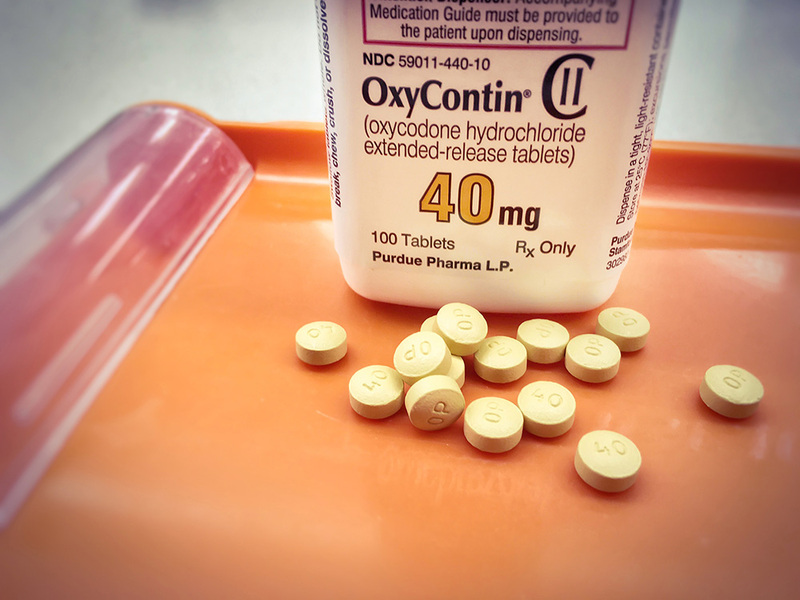 Medical experts said the compensation amounts to little more than a rounding error for a company that amassed revenues of $31 billion (US) from OxyContin. In August 2018, the British Columbia government launched a lawsuit to sue over 40 opioid manufacturers, including Purdue Pharma. The government alleges the companies contributed to the crisis by downplaying the risks their drugs posed when marketing them to doctors for some 20 years. Though a dollar amount was not specified, the government sought to recover provincial health care costs associated with the overdose crisis, including addiction treatment, emergency response and hospital expenses caused by the “negligence and corruption” of drug companies. The suit marked the first time that a province sued drug companies over the opioid crisis. The suit also targets retailers such as Shoppers Drug Mart	and the Jean Coutu Group, as well as distributors and wholesalers.